On November 6, 2018, the League of Insurance Organizations of Ukraine held a meeting of the Committee on Insurance in the field of tourism. 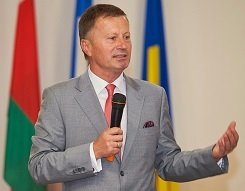 The President of LIOU Oleksandr Filonyuk opened the workshop, which familiarized the participants with information about the meeting with the Consul and the Vice-Consul of the Embassy of the Republic of Poland in Ukraine. Galina Kim, the chairman of the LIOU Committee on Tourism Insurance, made a moderator of the event, briefed the participants on the current situation in the field of travel insurance, and focused on the legislative initiatives of the League, cooperation with the Ministry of Economic Development and Trade of Ukraine, the profile committee of the Verkhovna Rada of Ukraine, and working with representatives Embassies of the Schengen countries. Within the framework of the agenda, the Committee members reviewed the results of the travel insurance activity based on the data of insurers participating in the exchange of information. Presenting the received data, the Vice-President of LIOU Romana Navalkivska stressed that the main indicators of medical expenses insurance activity show growth. Compared with the 2nd quarter of 2017, when the visa regime was still in force, insurance payments for the second quarter of 2018 increased by more than 40%, insurance payments and the number of insured persons – by 30%. Participants of the meeting discussed the situation regarding the acceptance of insurance contracts for medical expenses by visa centers of the Embassy of the Republic of Poland, the procedure for accreditation of insurers at the Embassy of the Republic of Poland and further cooperation with the representations of the countries-participants of the Schengen agreement. Also, the updated composition of the Tourism Insurance Committee was approved. Representatives of insurance companies «ASKA», «Inter-Plus», «Nico Insurance», «Persha», «PZU Ukraine», «Prosto-Insurance», «Providna», «Tekom» and «Ukrfinstrach» took active part in the meeting.